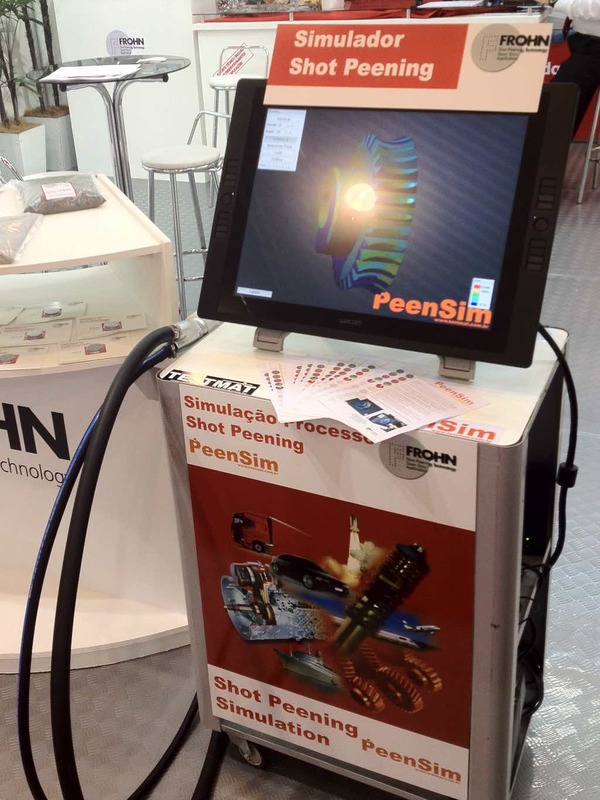 The Shot Peening VR Simulator – PeenSim was initially used in demonstrations at fairs. Due to its accuracy our customers use the PeenSim in operators training of shot peening and flap peening. PeenSim simulates the surface treatment with shot peening. In the real process the operator applies manually the treatment with the application of grit in high speed on the desired surface. So, the impact of these particles deform the surface and increase its hardness leaving a residual compression stress that is beneficial to the part. The shot peening and flap peening processes, when applied manually, require great skill from the operators. As a result their ability is relevant to the quality of the peening process. The PeenSim Shot Peening VR Simulator consists of a blasting nozzle, blasting panel and processing hardware. In addition with PeenSim are provided applications for evaluating process quality and the ability of the operator. The simulator also works with the Flap Peening tool. 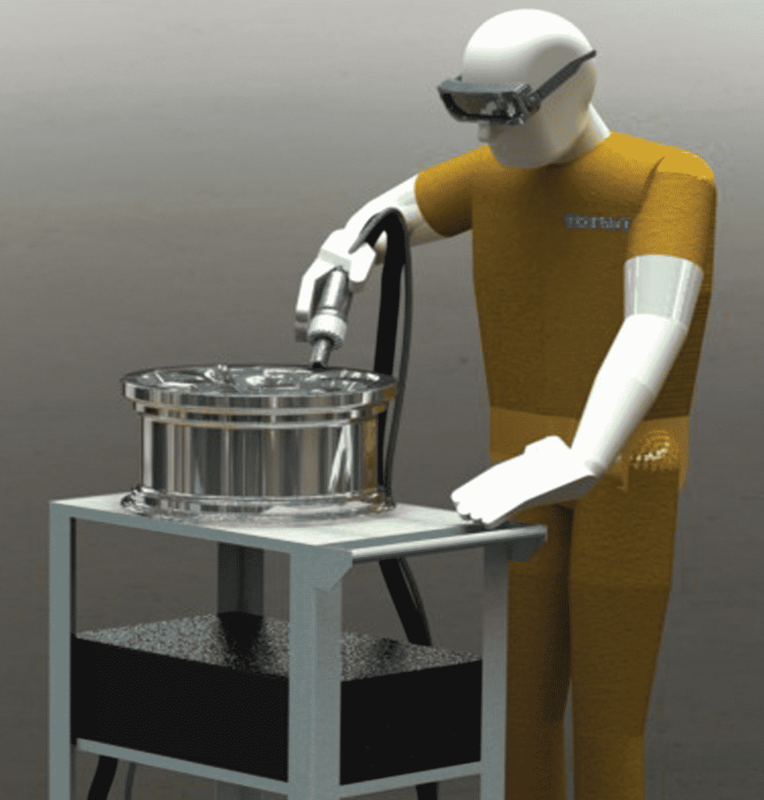 The Shot Peening VR Simulator allows the evaluation of the peening operator ability in different aspects. Among them: speed, arching, distance and layer overlap. Controls the peening operation with the Measure of Almen, Coverage and Overpeening. It is possible to blast different types of parts, including corners and individualized monitoring of each trained operator. – Module for simulation of defects: Overpeening and Flaking.